Sophia: I used Sophia to create the lesson “tutorials” and a playlist of the entire unit. It made organizing and hosting everything super easy. Here’s my unit: Weathering, Erosion, Deposition, and Soil. Unit Planner: I created a unit planner to help students navigate due dates and requirements. (I totally copied my colleague’s layout for this.) The nice thing about this is it let students plan ahead and get ahead if they knew they would be busy a particular homework night in order to make alternative arrangements. For the most part, things worked well, but there were a few issues. Poor camera quality: I learned that the webcam on my computer is not very good for recording this type of video due to lag time. Going forward, I will be using a Logitech HD C920 webcam. It’s a little pricey, but it is high quality with a built in microphone. I tested it out in a quick recording and the capture was significantly improved. I do think including myself with the screen capture is really important. 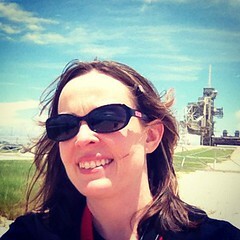 I tried a couple of lessons without it, and students overwhelming preferred seeing me on video (go figure!). Students not completing the homework: I am very lucky. I have two classrooms with an adjoining door. I hooked up an extra computer to the projector and allowed students who could not watch the video for homework to come in and watch it during homeroom. Additionally, students who still had not watched the video once class began were allowed to watch the video. Usually, this meant missing an activity which gave them further incentive to finish the homework the next time. In most classes, only one or two students hadn’t watched the video upon entering class. That’s a pretty high homework completion rate. Students not watching all of the video and/or just copying notes: As the unit progressed, I realized some students were not listening to all of the videos and were just copying the notes. Going forward, I think I will have a short quiz at the start of each class in order to differentiate between those students who actually watched the videos and those who just copied notes. 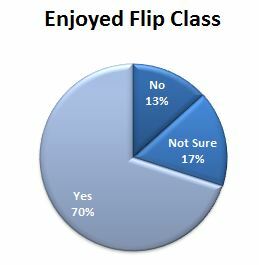 At the end of the unit, I asked students to complete a survey to see if they wanted to continue with the Flip Class model. The results were very interesting. 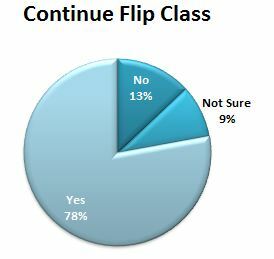 Some of the great things I’ve learned about the Flip Class model is how easy it makes it for students to go back and review a lesson. It’s not just notes and lab activities to go back and look at – now they can re-watch the lesson explanation. 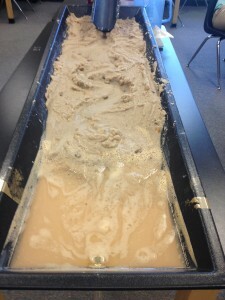 Many students commented on how helpful this was. It also helped students were absent. I had one student who missed several days of school, and yet this student performed better on the final unit assessment than the student had done on previous units. I am sure that I will continue with new ideas and ways to improve going forward, but I am glad I finally took the leap and experimented with the Flip Class model. Students definitely seemed to enjoy the experience, and I look forward to seeing out this adventure continues to play out. Most excellent! Glad you are getting good results. I am finishing up my 2nd semester work now. I plan on having it done before we go back. So truly happy you are enjoying the flip. My Screen Recorder is one of the best screen recording software. It records your screen and audio from the speakers or your voice from the microphone – or both simultaneously. The recordings are clear and look great when played back on your website, uploaded to YouTube or used in your presentation. One thing often overlooked – It will record directly to standard compressed format that works with any video editor or any tool, no conversion required. And, the file sizes are small, making them easy to upload or distribute.